Join us this Thursday, September 6 at the 3 West Club (3 West 51 St.) at 6 P.M. for a special event on the occasion of the commemoration/remembrance of the Istanbul Pogrom / Septemvriana of September 6–7, 1955. 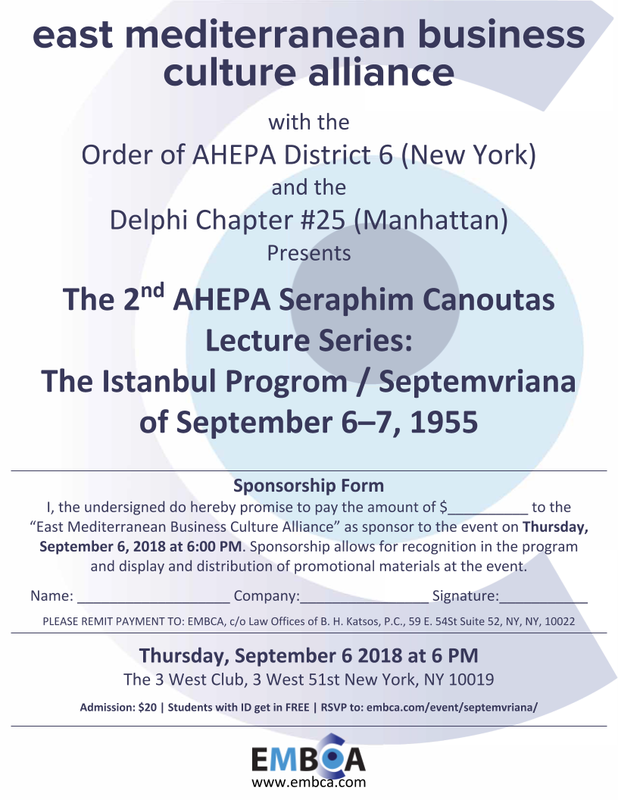 EMBCA is proud to host and sponsor the 2nd AHEPA Seraphim Canoutas Lecture Series event with the Order of AHEPA District 6 (New York State) & Delphi Chapter #25 (Manhattan). 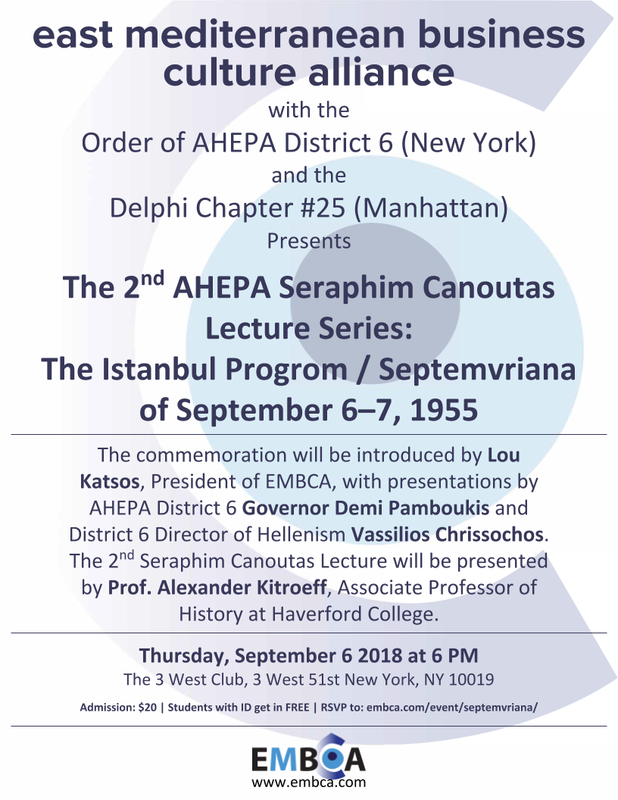 The commemoration will be introduced by Lou Katsos, President of EMBCA, with presentations by AHEPA District 6 Governor Demi Pamboukis and District 6 Director of Hellenism Vassilios Chrissochos. 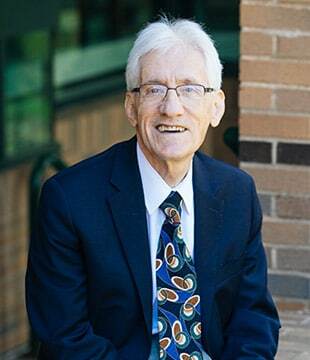 The 2nd Seraphim Canoutas Lecture will be by Prof. Alexander Kitroeff. Alexander of Haverford College. The Istanbul pogrom, were organized mob attacks directed primarily at Istanbul’s/Constantinople’s Hellenic minority on 6–7 September 1955. The pogrom was triggered by false orchestrated news reports in the Turkish press which insinuated that Hellenes had set off a bomb the day before in the Turkish consulate in Thessaloniki, Northern Greece, and which was the former home where Mustafa Kemal Ataturk Turkey’s modern founder had been born. This was in spite of the fact that it became known that the bomb was planted by a Turkish usher at the consulate, who was later arrested and confessed. Tens of thousands making up the Turkish mobs were bused into Istanbul to carry out the attacks and Municipal and government trucks were placed in strategic points all around the city to distribute the tools of destruction (shovels, pickaxes, crowbars, ramrods and petrol), with 4,000 taxis also requisitioned to facilitate the attacks. Between 13 and 16 Hellenes (including two priests) and 1 Armenian died as a result of the pogrom and there was severe damage and costs which greatly accelerated the emigration of ethnic Hellenes from Turkey still there (their homeland for over three thousand years before that), and the Istanbul region in particular and the city founded by Hellenes in 657 B.C… The extensive damage and cost to the Hellenic population (and including some in the Armenian, Judaic and even Muslim communities of the city) included 4214 homes, 1004 businesses, 73 churches, 2 monasteries, 1 synagogue, and 26 Hellenic schools. Estimates of the economic cost of the damage varied and as high (in 1955) as $500 million USD. The Turkish government eventually paid 60 million Turkish lira of restitution (about $24 million) to those who registered their losses. 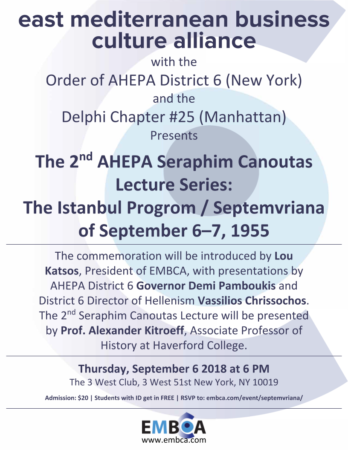 **Note- Today September 5th from 7 to 8 PM EMBCA President Lou Katsos will have both AHEPA District 6 Governor Demi Pamboukis, and Director of Hellenism Vassilios Chrissochos, as his guests on his COSMOS FM Hellenic Public Radio program (91.5 on FM, and cosmosfm.org on the internet). They will discuss among other things Order of AHEPA activities in New York, as well as the Istanbul Pogrom.